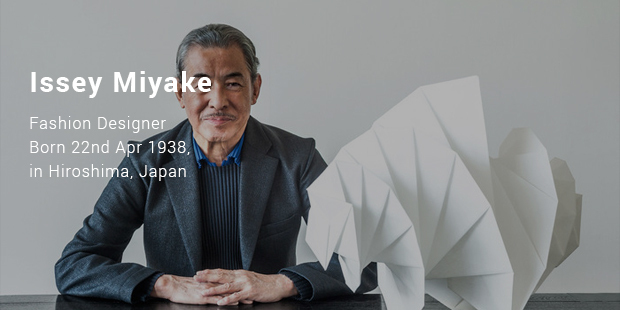 Critically acclaimed and mega-popular Japanese fashion designer Issey Miyake certainly hasn't had the easiest of lives. Born in Hiroshima, Japan, on the 22nd of April 1938, he grew up to see his home destroyed during the Allied bombing of Hiroshima during World War II. Miyake survived the blast, and continued his schooling as his hometown was gradually rebuilt after the war. That experience forged a remarkably distaste for violence in Miyake, one that was cemented after his mother died three years later due to radiation poisoning from the bombing. 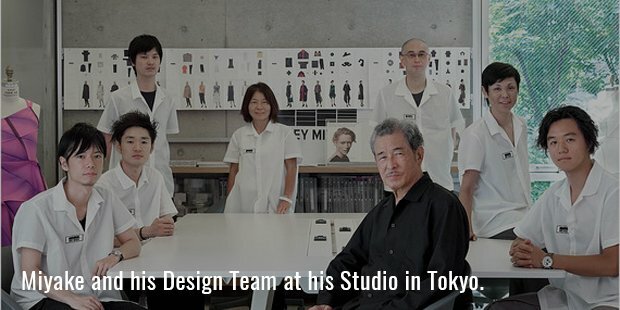 Miyake soon moved to Tokyo to begin studying graphic design, building his passion for innovative, technology-inspired fashion during the same time period. After graduation, he moved abroad, working for the industry's biggest names in cities like Paris and New York. Miyake was a good assistant to many of fashion's at-the-time biggest icons, working as a relatively introspective outsider while picking up the skills of the trade. 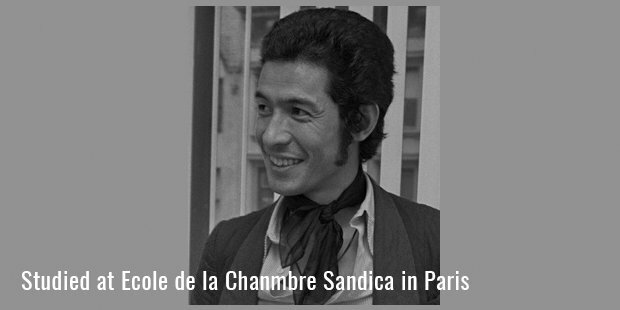 In 1970, after helping others for six years, he returned to Japan seeking a more ambitious opportunity in the fashion world. Thanks to his determination and focus, it happened. 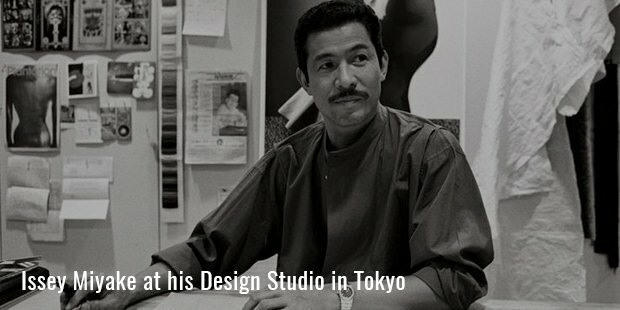 In 1970, Miyake founded the Miyake Design Studio, a specialist female fashion design studio. The studio's innovative designs picked up a great deal of praise in Japan's growing fashion scene, and Miyake's company was soon producing a wide range of items for women both in Japan and based outside of the country. Unlike other fashion designers, Miyake had little interest in the ostentatious, flamboyant designs of the European labels. He instead preferred to look at how the world was changing – how technology was shaping the culture around him – and implement its developments into his work. Known as the fashion designer's only great technologist, his work is inspired by both machinery and electronics. This innovation in design soon turned into an innovation in production, and Miyake's company took an active role in developing a new system of pleating. Allowing for garments to be produced with a much greater level of quality, he dubbed the system 'Pleats Please' and turned it into one of the key developments in fashion throughout the late 1980s and 1990s. While Miyake's reputation as a fashion designer is unquestioned, he's perhaps more famous among young people due to his interesting friendships. A close friend of Lucie Rie, he adapted her famous pottery work into the inspiration for an entire set of high-end dresses, using the symmetry and style of classic pottery to craft beautiful garments. Likewise, he was a close friend of Apple Inc co-founder Steve Jobs, and was known for designing the world famous black turtlenecks that Jobs wore on a daily basis. After Jobs requested a custom fitted turtleneck to wear during presentations, Miyake created hundreds of them and emailed them directly to Jobs, giving him enough clothing to last him the rest of his life.